The one workout where eating chocolate out of the bag isn’t only accepted, but practically encouraged—hiking is one winter activity we’re happy to get on-board with. 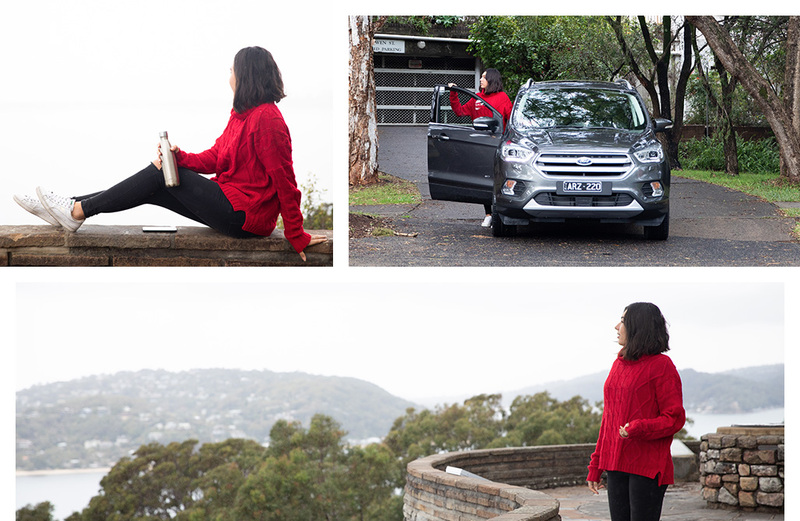 To bring you every beginner walk and hike around Sydney, we partnered up with Ford, who has an SUV for everywhere you (and your mates) want to go once 5pm hits on Friday (birthday present please?). Whether it’s hitting an off-road track with the Everest, cruising to your fave hiking spot in the EcoSport or heading out for a coastal drive in an Escape, there's something for every hiker. Don’t forget the M&Ms when you take on one of these hikes in and around Sydney. One of Sydney’s most Instagrammable walks covering Bondi, Tamarama and Bronte beaches, the Bondi to Bronte Coastal Walk extends across four kilometres with plenty of latte, swimming and brunching opportunities along the way. Take the car to save yourself the train home and enjoy the view along the way. One of the more popular walks near Sydney, this heritage-listed lighthouse was built in the late 1800s and remains an iconic attraction. Part of the Ku-ring-gai Chase National Park, there are two walking tracks spanning 400 or 800 metres. Afterwards, drive by The Boathouse café, a seaside spot with an impeccable casual dining menu. A green oasis just north of Sydney’s CBD, Lane Cove National Park offers easy walking tracks that will make you forget about that grey office cubicle. The Riverside Walking Track runs along tranquil waters, but you can also try the Fiddens Wharf walking track for something a little more challenging. If you need coffee along the way (and who doesn't, really) find the closest location by simply saying “I need a coffee” to Ford’s SYNC 3 system, and it'll find you options along the route. It's a lifesaver on those 7am mornings. One of the best ways to view Sydney Harbour minus the tourists, South Head Heritage Trail encompasses historic gun emplacements and Hornby Lighthouse. BYO picnic in the car to enjoy along the way, or find a spot along the trail. When your arms are filled with food, use the hands-free power tailgate (available on the Ford Escape). Just wave your foot under the boot to open and close it. Magic. The easiest way to access panoramic views of the Three Sisters Walk, this moderate walk is just 1km return and won’t take longer than half an hour. If you’re feeling energetic after you’ve warmed up, head to the Prince Henry Cliff walk, Dardanelles Pass loop walking track, and the Three Sisters Walk to Scenic World via Giant Stairway. Bring the car so you don't have to trek between treks. Nestled in the world heritage-listed Blue Mountains, the Ruined Castle Walking Track begins at the Golden Stairs and takes you through Jamison Valley, the Ruined Castle and offers views over Wentworth Falls and Katoomba along the way. There are steep sections and some rock-hopping towards the end of the route, so pair your Lululemon with runners. Park at Newnes Plateau, which will set you about an hour’s walk from glowing, magical goodness. The Blue Mountains region is a sprawling home to colonies of glow-in-the-dark fungus gnat larvae, otherwise known as glow worms, which makes them sound a lot friendlier in our opinion. Make sure to keep your torches (and your hands) to yourself as you pass through this 400-metre abandoned tunnel. If you’re not a fan of hiking, or are too sore from all your #fitspo workouts through the week, pack your favourite snacks and jump in the car to one of the most scenic routes in Australia. The Grand Pacific Drive stretches across 140-kilometres of jaw-dropping NSW coast, so you can choose-your-own-adventure weekend trip depending on how much time you have on your hands.